One of the subplots in the first Ant-Man (2015) revealed that scientist Hank Pym (Michael Douglas) lost his wife Janet (Michelle Pfeiffer) when she went subatomic to disable a Soviet nuclear missile, a heroic deed that relegated her to being tossed about inside the swirling maelstrom of the quantum realm for all eternity. 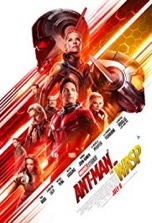 The sequel, Ant-Man and the Wasp, opens with that fateful mission (these archival clips from the first film set the tone for the sequel’s rehashed sameness), which effectively kicks off the action and establishes the movie’s premise as a straightforward rescue tale. Since the last film, Hank has been busy building a quantum tunnel. Hank prevails upon Scott Lang/Ant-Man (Paul Rudd) to enter the subatomic dimension and rescue Janet. Other than a few character beats and a handful of action sequences, that’s pretty much the whole plot in a nutshell. The Ant-Man franchise is like the redheaded stepchild of the Marvel universe. Compared to the Avengers series, this film feels downright low budget. Like Scott, who is under house arrest (a story element that quickly tires), the movie is firmly moored to its San Francisco locations. Whether intentional or not, the film’s insular framework is symbolic of the confinement Scott and Janet have been forced to endure. The story by Rudd and four other writers is rote and seems more like an episode of Agents of S.H.I.E.L.D. than a big budget summer tentpole. With a dearth of character development and reheated dialog, the movie’s central figures are merely caricatures of themselves, especially Luis (Michael Pena), whose one-liners are as stale as last week’s pizza. The rest of the actors do what they can with mediocre material. 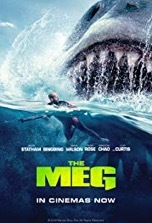 This is a sad fact since the movie boasts some impressive actors, including: Walton Goggins, Bobby Cannavale, Judy Greer and Laurence Fishburne. For this outing, Scott is joined by Hope van Dyne (Evangeline Lilly), who takes her mother’s mantle as the Wasp. 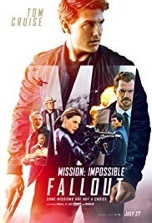 Other than watching the duo kick some major tuchus in a couple action scenes, the only aspect of the film that’s enjoyable is the loving relationship between Scott and his daughter Cassie (Abby Ryder Fortson). The homemade ant farm inside the house is a creative and thoroughly enjoyable scene. Another clever concept is how Hank’s lab can shrink down to the size of a milk crate so that it can be transported to another locale and enlarged back to its skyscraper proportions. The mobile tower concept was also used to great effect in the fantasy/sci-fi cult classic Krull (1983). The FX inside the quantum realm are a major disappointment…any decently produced TV show can achieve, and in many cases supersede, these multicolor miasma effects. The blurry ghost image employed whenever Ava/Ghost (Hannah John-Kamen) time shifts is a really well conceived and executed visual effect. In the end, Ant 2 is a safe and predictable follow-up to the first film, which was a surprise hit. The only surprise here is how uninspired the story is. For Ant-Man 3, Marvel had better step up its game. Otherwise, they might discover that, like their titular hero, the audience can shrink too.